Harvey A. Wagner was the turnaround CEO of Quovadx from 2004 through 2007. Quovadx was a $100 million, NASDAQ-traded software and services company with offices in the U.S. and Europe as well as some outsourced R&D in China. Customers were in the hospital and telecommunications markets as well as large financial institutions. The company was accused of accounting improprieties, went into a tailspin, and Wagner, ultimately, was asked by the board to turn it around. Quovadx merged with a subsidiary of Battery Ventures in 2007. Wagner is currently the managing principal of H.A. Wagner Group LLC, a strategic and business consulting firm. Previously, he served as a CFO or CEO of numerous firms, including Caregiver Services, Mirant Corporation, Optio Software, PaySys International, and Premiere Technologies. How would you describe your leadership approach at Quovadx? Wagner: I changed the leadership approach of the company when I arrived. It was a company that was run by dictates and fear. The company was in financial difficulty, as well as difficulty with the SEC and had several shareholder lawsuits. I was brought in to turn it around, so I used a completely different leadership approach using a methodology that I had used in the past many times: setting up a vision, a mission, and goals and objectives, getting everybody involved in that process to build a real team approach and to change the ethics of the company, the culture of the company, and the values of the company. I was much more of an inclusive manager, not just telling people what to do, but asking people for their opinions, getting better input, discussing the pros and cons, and then, when we had decisions to make, if we could get consensus on those decisions, fine. If not, then obviously I was the CEO, and I had to make a decision to move forward. What were the new values of the company and how were they created? Wagner: We went out to all the employees with a list of values I had gathered, about twenty-five, and asked them for their input, what they thought was more meaningful to them within our organization, and for the issues that we were trying to solve, and the culture we were trying to build. We included things like a relentless focus on improving quality, customer focus, honesty and integrity, continual process improvement, a team-based environment, accountability, consistency, reliability, enjoying what we do, and open, honest, and timely communication. They were the primary ones. I took input from people and tried to incorporate a lot of what the employees were saying so they felt a part of the process, which was what I was really driving for. The company had revenue recognition issues and an SEC formal investigation going on for alleged fraud. People were reluctant to stand up to the prior CEO and CFO for fear of getting fired. We had a delisting notice from NASDAQ, which we were able to overturn because we gave them a recovery plan. Part of that was going over our vision, values, and mission to show them that we were changing this company. We had three shareholder lawsuits going on. We couldn’t file our SEC documents on a timely basis, and the company was running out of cash rapidly. So, I needed to have the employees engaged in this process, or else we would never have been able to survive. We had to change this culture of this company. How did you change the culture of the company? The vision was to be the preeminent and most trusted name in the software services business for healthcare. We set up major, high-level objectives for the company, such as to increase revenue, deliver excellent financial performance, and develop and enhance a professional staff. Tied to those objectives were detailed goals to achieve the objectives. Then we drove those goals down to individual initiatives within the company by employees. So the people in the marketing department would have very specific initiatives that needed to be achieved. It was all linked together. Then we put the VOGI on the company Intranet with all of the individual initiatives with the various steps that had to be achieved. Some were over six months, some over a year, so anybody in the company could go in and see all the individual initiatives, because a lot of these had to be worked between different organizations. Some of the initiatives might cross the marketing organization because we had developed some new products and then marketing had to market those new products, so they had some initiatives that had to be worked together. That way, everybody could see who was on schedule and who wasn’t. It really was successful, and we got people really talking. We would say, “How’s your VOGI doing?” VOGI became a word that we used throughout the company. Everybody knew what it was. If somebody that you were working with to achieve your VOGI wasn’t supporting it, then they got some pressure from the ones who needed their help. I would randomly pick some of these out and have the VOGI team on a specific project come into the staff meeting with the senior staff and present what they were doing and how they were progressing. Everybody was involved in a VOGI. We were able to bend the focus on what was important in the company and not have people running around doing things that were not specifically agreed to all the way up the line. We had VOGI put into a brochure, and you could have a separate vision and mission by your organization. So, the CFO would have a vision and mission for his organization, as did Legal, HR, Development, Marketing, and Sales. They each had a brochure, and there was a letter from me explaining the whole process. Each organization had theirs so they could give them to all their employees or whenever we hired a new employee. We also had a macro-VOGI for the whole company, so whenever we hired a new employee, part of their welcoming was a copy of all of these documents. When they came in, they knew exactly what the company was working on and where they fit in. It really perpetuated a team environment. 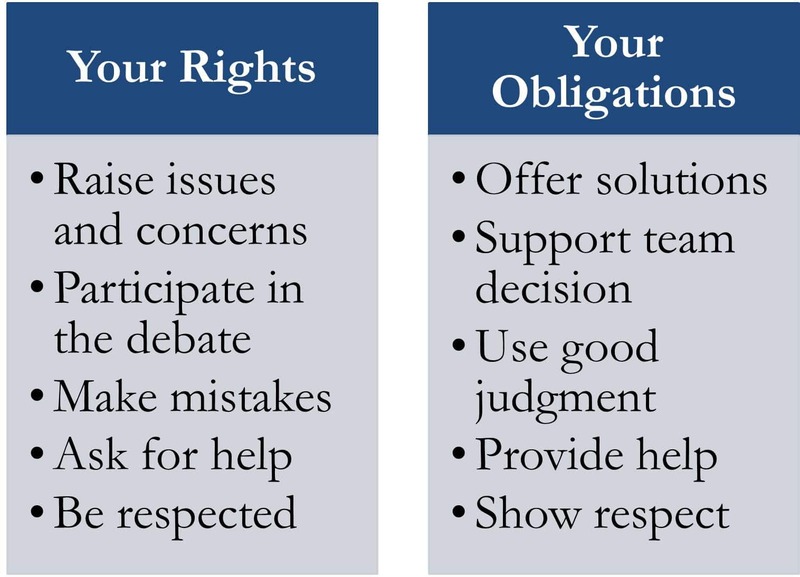 We came up with something called “Rights and Obligations.” As a member of the Quovadx team, you had the right to do certain things, but you also had an obligation to do certain things. Did the board bring you in to do this kind of turnaround? Wagner: I was first brought in as an interim CEO. I gave them four names of people I thought would be good permanent candidates. Then the board came and asked if I would be willing to stay. After four months of doing a complete colonoscopy on the company, I saw the foundation was very good. We just had to rebuild some walls and the roof and fix some leaks, but the business we’re in, the products we have, the markets we serve were very good. We had some very good employees, so it was just a matter of getting the company focused in the right direction, getting people to really want to be here, to feel good about what they’re doing, and to believe what they’re doing is meaningful. Did the board understand the kinds of cultural changes you intended? Wagner: Yes, I walked them through what I thought after the first 30 days. After 60 days, I gave them a 60-day report of what needed to be done, and what I thought the best approach was to get the people on the team. The board agreed and gave me the full authority to go do it. What were some of the results of this culture change? Wagner: We did grow the business, but it was not dramatic. The fact was that the company was losing revenue in the past, and we stabilized that and grew it just a few percent, but not where we wanted to grow it. We’d like to have grown 10-15-20%, but we weren’t able to do that. From a cash standpoint, the company had raised about $100 million back in 2000. At the end of December 2003, they had $32 million left. I got there in April 2004 and the cash was down to $10 million. They had no credit lines at all. I had to stop the bleeding. I laid off about 12 percent of the workforce. I fired five senior people because they were involved in some of the bad things that were going on, or at least they knew about it and should have raised their hands. So, we had to clean that up and clean it up fast. After the first 30 days, we never had a month that was not positive operating cash flow. We grew cash to about $30 million by the end of 2004. When we sold the company in 2007, we had about $50 million in cash. Our customer retention rate was in the mid-90s. We hardly ever lost a customer. Were there any particular leadership practices that were important to the turnaround? Wagner: Being open with one another, not being afraid of making a mistake or stating a contrary opinion, and working as a team. I didn’t want to be a dictator if I didn’t have to be, but if I have to be, I could be. But I always felt that when you have a team of people, you ought to listen to them. A lot of these people had more experience in this business. This was my first foray into health care, so I had to listen to them. It was important for us to sit around, discuss problems, issues, and opportunities, and then bat those things around to come to a consensus. We had to have a team of people who weren’t afraid to be open and to disagree in a professional manner: people who are open, willing to listen to other points of views, massage the pros and cons, have a discussion, and then come up with a consensus and a decision. 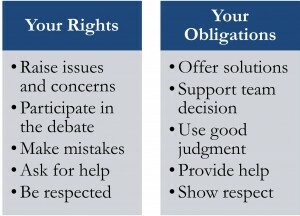 “Rights and Obligations” got people to participate in the debate, and once the debate was over, they supported the team decision. You can’t go around and backstab because you didn’t agree with a decision. Sometimes that’s hard because people are nervous, or they don’t trust you, they don’t know you, and they may be suspicious. My door was always open. I didn’t care if it was the janitor who had the problem and walked in. We all had different jobs and responsibilities, but we were all here for a purpose. I wanted to listen to those opinions, because the people down in the bowels of the organization knew a lot more of what’s going on, and what the issues were, than the senior management does. They’re in it every day, and they talk among themselves, and you need to listen to them. A lot of people are nervous about walking in and asking a question. People look up to you as the CEO and put you on this pedestal, which I try and knock down, but it’s hard to do. What about the focus on values and ethics? Wagner: In the beginning, because of the issues the company had, honesty and integrity were huge values that we stressed. In the software business, there were a lot of companies that got into trouble because of how they would recognize revenue. I said I will go to the board of directors and tell them we had no sales this month rather than have one sale go out of here that is not right. I said we would never, ever recognize revenue that is not revenue, period, end of story. If it’s zero revenue that month, that’s what it’s going to be. That’s just the way I am. I was in finance for over 40 years, and I never had a revenue recognition problem in my career. There is one thing that you just can’t take away from somebody and that’s personal integrity. That’s yours, and only you can make sure you keep it. Don’t ever let anybody destroy your personal integrity. I learned a lesson a long time ago. When I first graduated from college, I went into public accounting, and one of my very first audits was in a bank. Our first job was to seal up the vault and all the cash drawers behind the teller windows. One of my very first tasks was to go into the vault and count the cash. I was literally in this vault myself, a 23 year-old, and stacks of cash, banded $100 bills, surrounded me. I had just bought a house for $15,000, and I had a $13,000 mortgage. And here I am in this vault with all this cash, and I said to myself, “My god, I could take one of these banded $100 bundles, put it in my pocket, write up how much cash was left in the vault, and I could have $10,000 to pay off my house. Nobody would really know. That went through my head. I then realized that would be the most stupid thing I would ever do in my life. That was a very defining moment in my belief in my personal integrity. You said you wanted other people to make the decisions, but if you had to be a dictator, you would. Can you expand on that? How would you define great leadership? Wagner: Being able to have people respect you and follow you, even though they don’t like you, and feel they are learning from you along the way. You’re not always going to be liked. All I want is that people will respect me, and that they believe that I am doing the right thing, and we’re making progress. I would love everybody to think I’m a great guy, but I just want them to think of me as somebody they will follow, who they will look up to, and who, at the end of the day, feel good that they’re learning something along the way, saying I worked in a decent company. What I need is approval from my board that I’m doing the right thing for the shareholders. To be successful in doing that, you have to do the right thing for the employees. Without employees, you have no company. You can have a bunch of customers, but if you have nobody to take care of them, then you’re in deep trouble. So, you have to treat your employees very well and take care of them as best you can. Leadership is trying to do the right thing for your customers, your employees, and your shareholders. 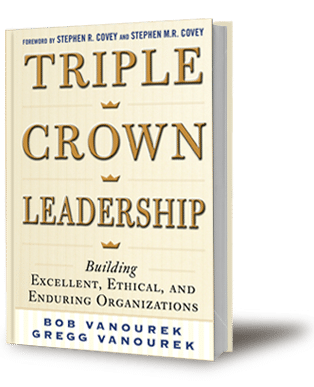 Bob and Gregg Vanourek, father and son, are authors of Triple Crown Leadership: Building Excellent, Ethical, and Enduring Organizations (a 2012 USA Best Business Book Awards finalist), based on interviews with leaders in 61 organizations in 11 countries.